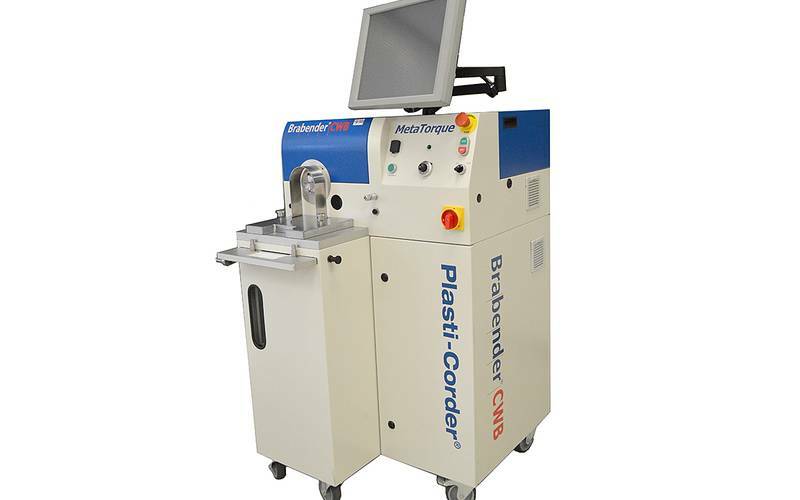 The NEW MetaTorque Plasti-Corder is the latest design offered by C.W. Brabender. The unit utilizes Allen-Bradley PLC field Technology, the world leader in PLC controls. Through the use of PLC, adding ancillary equipment is quick and easy. The unit employs inline load cell technology. The MetaTorque features the RheoLink software program, which is a universal software program for evaluating either mixer or extrusion application. By use of RFID (Radio Frequency Identification) RheoLink auto detects the attachment (mixers or extruders), the heat zones required for the application and all safety limits for the attachment. The intuitive and friendly software provides detailed analysis of mixer or extrusion data. Any CWB mixer or extruder attachment will adapt to the new MetaTorque rheometer. Dimensions* (W x H x D) 49.5" x 29" x 34"